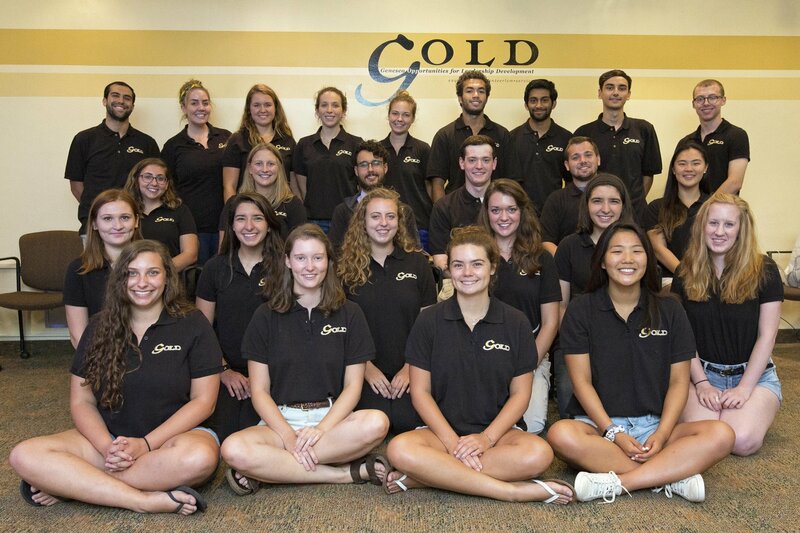 The Geneseo Opportunities for Leadership Development (GOLD) program offers unique workshops to help students develop the personal skills and knowledge necessary for future success in both life and career. The GOLD mission is accomplished through education, development, and training of students in an extensive series of personal development programs, institutes, leadership certificates, service learning, volunteer work, and active engagement in college and community life. Registration for Spring 2019 GOLD Workshops is now available. Build leadership skills and enhance your resume. Become a GOLD Leader Mentor! Introducing the Caryn Camiolo Memorial Social Justice Internship: Through the generosity of John Camiolo ’86 and Caryn Camiolo ’85, the Center for Community’s GOLD Program has established a summer initiative to encourage SUNY Geneseo students to engage in social justice related internships. Learn more about the program here.